I’ve been doing a lot of thinking and reflecting lately. After reading Essentialism, I’ve been soul-searching and trying to suss out where my true passions lie. Meanwhile, I’ve been reading business and productivity blogs, learning about SEO, and studying my Pinterest and Twitter analytics. I’ve been trying to decide what I want my “brand” to be, playing at being a graphic designer, etc. But in learning about all these things, I was feeling overwhelmed and stressed out. What if my post doesn’t get enough hits? What if people don’t repin my pins? What if I drive everyone away because my content seems shallow? And I realized that what really matters most is expressing my true voice. It all gets back to why I started blogging in the first place. It wasn’t to grow my stats or to gain recognition for my content. It was to SHARE MY PASSIONS with anyone who would listen. It was to offer ADVICE FROM MY EXPERIENCE so that others could learn from what I’ve done. And while I do feel like I’ve learned some interesting things from dipping my toe into the blogging business world, I also feel like I was starting to drift away from my true self on the internet. I was a student who was often bored in class and daydreamed of getting my hands messy. I would dig giant holes in the yard, build cities out of LEGOs, and doodle on all my worksheets. Now that I am an educator myself, I want to ensure that the creativity of my students is nurtured and encouraged. I want to help other educators who are tired of the status quo in education, who want to see their students GROW and THRIVE and EXPLORE their world and be fearless in expressing themselves creatively. 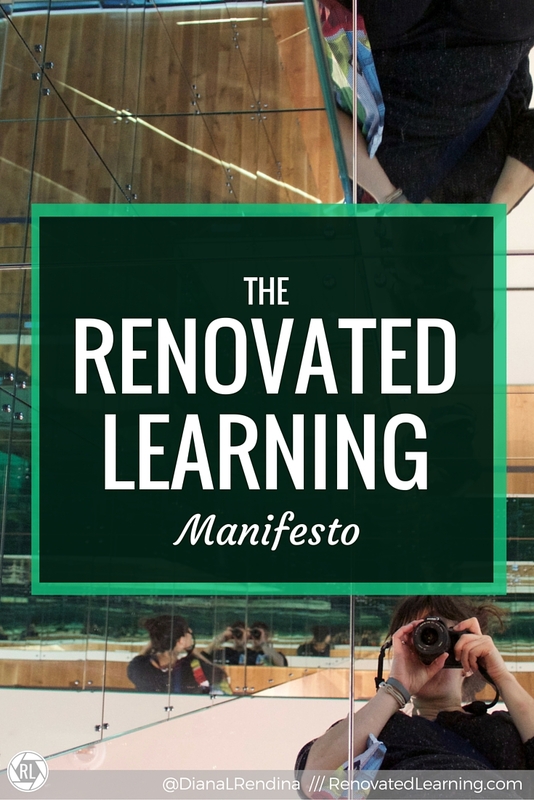 I want to share my passion for rethinking our learning spaces and how we teach STEAM in our schools. Here, on this blog, I want to share my VOICE and my PASSION. I want to equip you with the resources you need to create change in your communities. 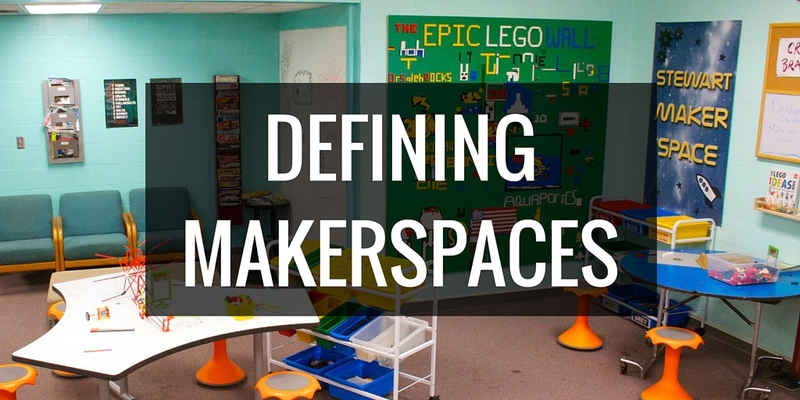 I want to think bigger than just one classroom or one library – I want to see the Maker Movement take hold EVERYWHERE. I’m making some changes here on the blog, but the end goal of these changes is not to get more click-throughs or more affiliate links or more pins of my content. My goal is to structure and design this blog in a way that makes it easier for you to find the content you’re looking for and for you to discover posts and resources that you might not have seen before. So you’ll be seeing some new graphic design on here soon (because I actually really love creating graphics for the blog. 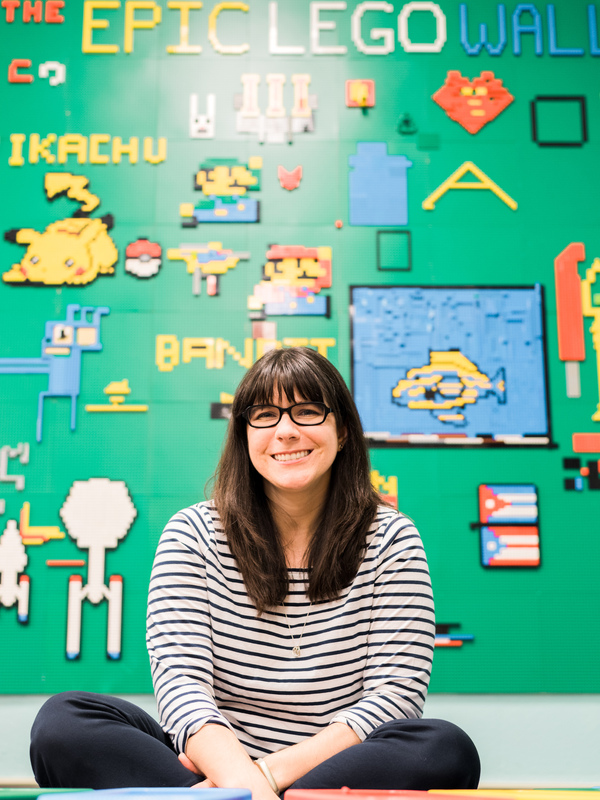 Canva for Work is the best thing ever). And I’m switching up my blog theme soon to make it easier for you to explore and utilize this space. You’ll also see things like my newsletter that I just started up, and maybe some more organized Pinterest boards, and more frequent tweets since I’m using Buffer now. But what I wanted to make sure that you understand is that ultimately, this blog is about sharing my voice and my passion for what I do with you. And no amount of SEO is going to change that. You rock! Keep sharing your passion; we are listening, we are being inspired and we are spreading the word! This is splendid! But c’mon Diana…You can’t fool me, I’m pretty sure you wouldn’t exactly HATE more click-throughs, more affiliate links & more pins of your content! [grins] You go, girl! YES! YES! YES! LOVE your manifesto, and the use of the word manifesto. While a little different, I have had a kid’s book review blog for eight years and went through the same process you did – reading up on SEO and studying the analytics, etc. Then I finally realized that I am reading and reviewing kid’s books because I love them and love writing about them and love sharing my passion for kid’s books and that’s what matters most. Everything else is icing on the cake. That said, it is really nice to know you aren’t blogging in a vacuum sometimes… Know that you are not and that your posts are SO helpful! As a relatively new elementary school librarian you give me something wonderful to aspire to and help me get the little things done that I can here and there with the tiny budget I get.